As you may have heard, Banter was purchased by new owners who are renovating and changing the location to an upscale restaurant. We don’t know what will become of our community hub for artists and musicians. None the less, we can look back at the fertile ground that Ellen, Steve, Bob and all the wonderful staff provided for all of us to bask in. Where to next? Not sure, but here is what we wrote about Banter when Banter was our favorite place to connect. Thank you, Banter! Banter connects Denton’s community of artists and musicians with the folks who love their craft. 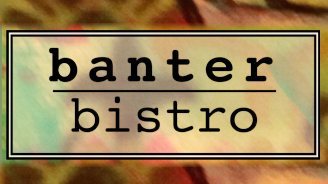 At Banter Bistro we offer a variety of food and beverage, a comfortable space to gather and enjoy the life of a vibrant and eclectic city where people engage and enjoy living together. 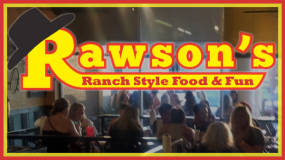 We feature gourmet, organic cuisine and a wide assortment of beverages. We offer an assortment of coffees and teas and proudly feature beer and wine from local and regional vintners and micro-brewers. Come taste our specialty soups dujour, our array of healthy sandwiches and hors d’oeuvres. Plug in your laptops and tablets and take advantage of our free online connection. 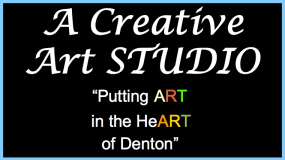 Enjoy time with friends, books, art and music at one of Denton’s treasured community gathering places. Banter Bistro of Denton awaits you. Banter Bistro is a gathering ground for many of Denton’s musicians, spanning a wide variety of musical styles. Oui Bis loves playing for the people at Banter and is happy to be a part of the universe of musical talent that convenes on Banter’s stage.